It’s not easy to get discount Disneyland tickets. The prices are usually pretty set. However, there are special deals and promotions from time to time so if you can plan your trip around those, you can save some money. 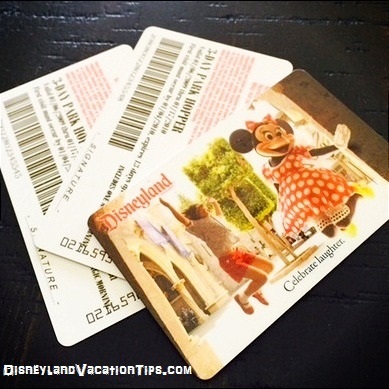 Also be sure and read the 12 tips for USING your Disneyland tickets that will save you time and money. FunFamilyFavorites.com: You'll save $13-31 per person here. 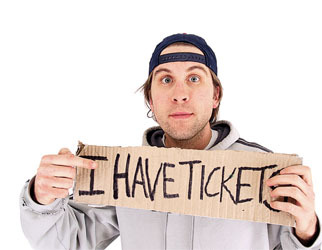 Don't be afraid of buying online-- this company is an official Disney ticket reseller. You can get eTickets that can be scanned from your phone or you can print them on your computer. Buy tickets to several parks at once and save big. The CityPass includes a 3-day Disneyland Parkhopper ticket plus 1-day tickets to LegoLand and SeaWorld. You'll get a BIG discount over buying all those tickets individually. Safeway. Sometimes you’ll see Disneyland tickets for sale at Safeway or other grocery stores. Generally these prices are not discounted, but you might find it more convenient to pick them up along with your groceries. It could also turn into big gas discounts. Safeway sometimes runs a 4x gas rewards on gift card purchases. For a family of 5, 3-day Parkhopper tickets would earn 5000 points of gas rewards – or 5 $1 off/gallon discounts. For a 20 gallon tank, this means $100 in savings. AAA. If you buy them at your local branch, you may be able to save $5/ticket. You can also buy them online through the AAA website but last I checked, there was no discount. U.S. Military personnel, both active and retired, can get halfprice 3-Day Park Hopper Tickets. The military price is $143 while a regular 3-Day Park Hopper is $295, so that's $152 off. You may get an even bigger discount by visiting your local base. Groups of 10 or more people under 18 may get discount Disneyland tickets. Call (714) 956-6860 to find out prices. Teachers can get discount Disneyland tickets from TSA Special Member & Insurance Services, Inc.. How much is the discount for teachers? I don't know, so let me know if you do! Costco. If you book your hotel through Costco, you can also get tickets as part of a discount package deal. You can book this through their website or call their travel agency at 1-877-849-2730. However, the tickets available at Costco stores are usually not discounted. Don't buy your Disneyland tickets at the park itself. That is the most inconvenient place to get them. Buy online instead, even if it's just from your phone standing in front of the park! You won't need to print anthing; they will scan your tickets from your phone. eBay.com or Craigslist.org I don't recommend them. Usually the tickets are partially used and there's no way to verify how much is actually left on the ticket until you're at the gate. Even if there are days left on it, it's against policy to share tickets. And if there are no days left, you will be denied entry to the park. Imagine explaining that to your kids! Facebook is not giving away free tickets to Disneyland unfortunately. If you got an email asking you to click some links and submit some personal information in exchange for free tickets, that was a scam. Remember: If it seems too good to be true it usually is. 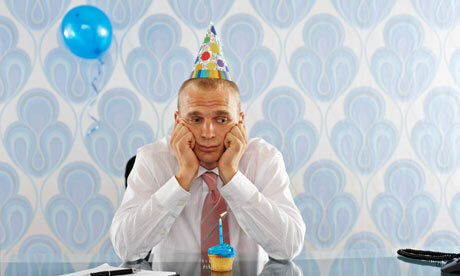 Birthday guests don't get free admission anymore. That deal ended Dec. 31, 2009. The absolute minimum price for a Disneyland ticket that I know of is $95. That is to visit one park (either Disneyland or California Adventure) for one day and is only available on certain days. Save $50/person by visiting 1 Park per Day. Right now a 2-Day Adult Park Hopper is $255 while an 2-Day Adult "1 Park per Day" ticket is $205. A family of 4 would save $200 total just by choosing the "1 Park per Day" option over "Park Hopper" tickets. Buy a Whole Year. A deluxe annual pass costs less than three 3-day Park Hoppers. So if you think you'll visit Disneyland a few times this year, consider it! Available at Disneyland.com. You can upgrade your ticket after you've started using it. For example, say you have a 3-day Park Hopper ticket and halfway into your trip, you decide that you would like to stay an extra day. Go to the Disneyland gate and upgrade to a 4-day ticket before it expires. You'll pay only the difference in price between the 3 and 4-day ticket, instead of paying much more for a one-day ticket. Thank you Julie from Alberta, Canada for that tip!